Ruth Lindemann received her Bachelor of Arts in Economics from the University of Rochester in Upstate New York in 2013. 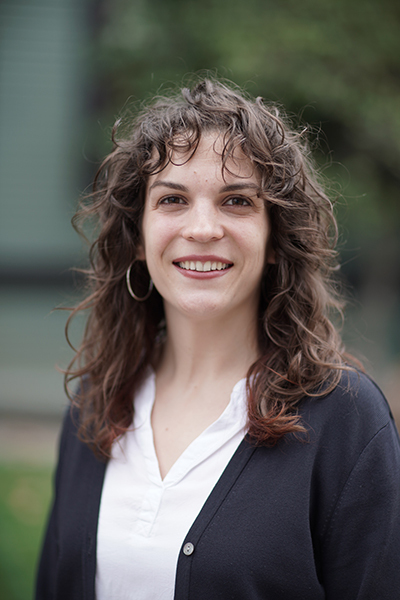 After graduating from college, and before law school, Ms. Lindemann worked for two Oakland non-profit organizations, first supporting the legal rights of refugees in other parts of the world and then working with Latina entrepreneurs in the Bay Area. Ms. Lindemann's legal career was inspired by her late grandfather, a Palestinian-American immigrant who came to the United States in the early 1950s. Encouraged by him, she began her first year at the University of California, Davis School of Law knowing she wanted to pursue a career working with immigrants. During law school, she participated in the U.C. Davis Immigration Law Clinic, representing clients seeking humanitarian relief in the United States. She took part in DACA and Naturalization clinics as well as Know Your Rights presentations throughout the greater Sacramento area. She earned her J.D. from UC Davis in 2018 and is a licensed member of the California State Bar. Ms. Lindemann started working as a law clerk for the immigration law firm Considine, Sorensen, & Trujillo in 2017 and then joined Tomlinson & Torres PC part time in 2018. In December 2018, she became a fulltime Associate with Tomlinson & Torres. Ms. Lindemann now represents clients in family-based petitions, waivers, consular processing, asylum and other humanitarian cases, as well as removal proceedings. She studied Spanish in Costa Rica and Ecuador in 2012 and uses her proficiency to work with many mono-lingual Spanish-speaking clients. In her free time, Ms. Lindemann enjoys playing soccer, running with her dog, camping, and cooking with her partner.